YouTube app offers a fairly convenient experience to view and stream videos across devices. But when an error occurred, it may drive us to be annoyed. 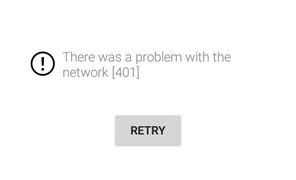 Error 401, one of the most common YouTube issues, seemingly bothers many users. - "I was getting error: 'there was a problem with the network ' when using YouTube app on Samsung Galaxy S6. App dose not load, display error message and retry button. I have disabled and then enabled app, restarted phone, no help. Any suggestions?" - "I've had a problem while uploading videos to YouTube. An error message pops up saying the remote server has returned an error: (401) Unauthorized. I've tried uninstalling and reinstalling this app, but that didn't work. Please Help!" How to fix YouTube error 401? Get optimal solutions here! Why Not Download YouTube Videos for Offline Playback Without Any Interruption? WinX YouTube Downloader – Free download any video (8K/4K UHD, 1080P/720P HD, SD, 3D, VR, 360 degree) from YouTube and other 300+ sites to MP4, WebM, FLV, 3GP with vivid images and hi-fi audios. 1. You don't have a properly authorized Google account (for example suspended) resulting in a prohibition of getting accessing to YouTube app on your mobile or TV. 2. You have a Google but don't link it to a YouTube channel. Although some features are still available, like rating videos, adding videos to "Watch Later" playlist, YouTube error 401 message will pop up when you try to upload a video. According to explanation of YouTube error 401, it is quite clear that this problem is primarily caused by unavailable Google account for YouTube. To fix it, try troubleshooting tips below. Uninstall YouTube app on your devices completely with removal of all data and caches. And then, reinstall the latest version of it. We will take how to add a new account for YouTube on Android as example. • Firstly, clear data and caches for YouTube app. Open Settings > Application Manager > YouTube > Storage > Clear Data and Cache. • Secondly, add a new Google account. Open Settings > Accounts > Add Account > Google. Next, enter a valid new email address and password. After logging in, uncheck all synced boxes. • Finally, run YouTube with the new account. Open YouTube app and log in with the new Google account you have just added. Is It Possible to Permanently Remove YouTube Error 401? Although some people get YouTube work again using the above tips, some others still complain that YouTube error 401 repeatedly appears. So, is there a way to fix this 401 unauthorized issue once and for all? In our opinion, to download videos off YouTube is a good idea. 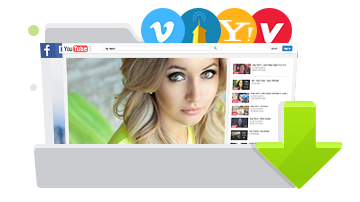 WinX YouTube Downloader is a professional YouTube downloader for Windows (10). It is capable of free downloading any video from YouTube and similar sites/SNS, like Vimeo, Vevo, Dailymotion, Facebook, Instagram and more. Depending on qualities of source content, it can save YouTube videos in 8K/4K UHD, 1080P/720P HD, SD, 3D, VR, 360 degree while keeping vivid images and hi-fi audio. It is designed as an absolutely user-friendly program with an intuitive interface, simple operation. And, it is 100% free, clean and safe without adware/plug-ins or malicious software. Download and install WinX YouTube Downloader on your computer and then do as following to download YouTube videos for playback without error 401. Step 1. Launch WinX YouTube Downloader and click +link-shaped button. A new smaller window pops up. Play one YouTube video on browser. Copy and paste the URL to textbox for URL address in the pop-up window. Step 2. Click Analyze button and video info (title, duration, versions varying from format, resolution, size and code) will be listed. Select one version (for example 1920x1080 MP4 format compatible with virtually all mobiles and TVs) and click OK. Step 3.Click Browse button to set target folder if necessary. Finally, click Download button to start downloading videos from YouTube. After the download process is completed, you can transfer videos to your mobiles, TVs via USB cable, cloud services or other transfer software. Open the video and it can play very well without YouTube error 401 or other problems. Disclaimer: Digiarty Software does not advocate downloading copy-protected YouTube videos for any commercial purpose and suggests referring to "Is It Legal to Download YouTube Videos" before doing so. ▪ Download videos (SD/720P/1080P/4K/8K/3D/VR/360 degree) from YouTube and alike sites without losing quality in a flash. ▪ Convert (YouTube) videos to MP4 (H.264), AVI, WMV, MOV, FLV, 3GP, iPhone, iPad, Apple TV, Android, Windows Mobile, Xbox, Sony PlayStation etc, at the fastest speed. ▪ Extract audios/soundtracks from (YouTube) music video, movies, TV shows etc, to MP3, AAC, FLAC, WMA, OGG, DTS and more with ease. ▪ Edit (YouTube) videos by cropping, triming, merging, adding subtitles; adjust video/audio parameters incluidng bit rate, frame rate, aspect ratio, resolution, sample rate, and channel.